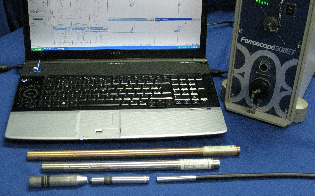 We manufacture and sell instruments and probes for a variety of NDT applications. We also supply NDT training and design special tools for NDT applications such as well casing, pipeline and boiler water wall tubes. We offer calibration and repair services for NDT instruments that we manufacture or distribute. With over 35 years of NDT inspection experience, Russell NDE offers a variety of specialized inspection services, including: Pipeline inspection for otherwise un-piggable pipelines using special ILI Tools; Boiler tube inspections using internal and external robotic techniques; Hydrogen Reformer Tube inspection; Sphere Leg inspection for CUI detection; Furnace tube inspection for carburization measurement; Heat exchanger tube inspection; Tank Floor inspection; Level-III radiographic film auditing, and more. 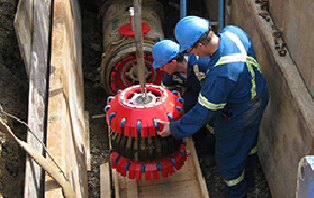 We serve customers in Power, Oil & Gas, Chemical, Fabrication and Municipal infrastructure locally and world wide. Our skilled Engineering team uses 3D Solid Modeling, Rapid prototyping and in-house numerically controlled machines to design, prototype, manufacture and test new NDT products. Our specialty is electromagnetics; however, we have also developed radiation meters and personal alarms, Radiation Dose Meters, ultrasonic jigs and fixtures, and many types of eddy current and RFT probes. 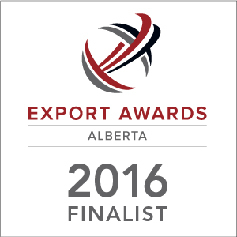 Our designs are recognized by ASTech and Frost and Sullivan as "Best in Class". Russell NDE Systems is the industrial World Leader in NDT services and top custom products, with over 40 years of professional industry experience in non destructive testing and evaluation. We offer direct service for oil, gas, and slurry pipelines, including: Pipeline pigging and expert inspection for boiler tubes, Hydrogen Reformer Tube, Furnace and Exchanger tube inspection, and Tank Floor inspection. NDE designs and manufactures the best non-destructive evaluation equipment such as the See Snake, HydraSnake, Ferroscope, VertiScan, E-PIT and I-PIT, Blanket & Bracelet probes, Radalarm and TubeCAT. Our field technicians are fully certified to CGSB standards: emergency first aid, CPR, hazard recognition, H2S Alive, confined space, fall arrest, WHMIS and radiation safety.